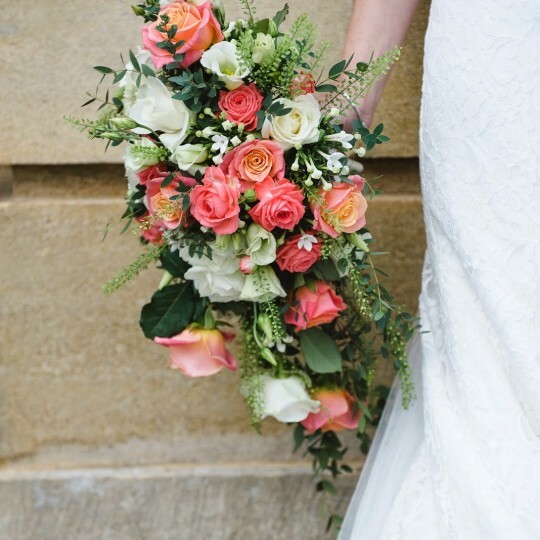 Matthew and Samantha's elegant Notley Abbey wedding - Joanna Carter Wedding Flowers | Oxford, Oxfordshire, Berkshire, Buckinghamshire and London. 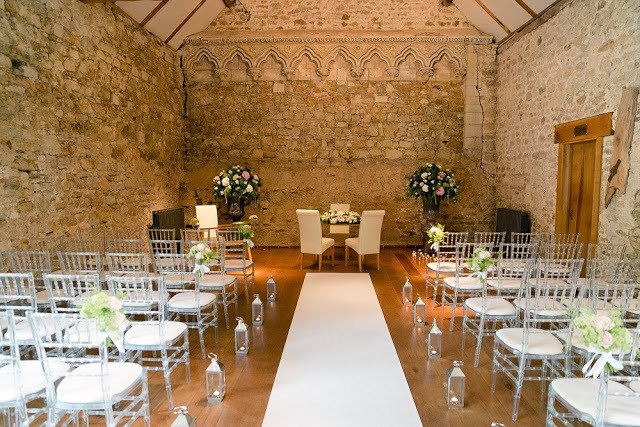 Matthew and Sam asked us to decorate both the Monks Refectory where the ceremony and reception took place and main house where drinks would be served both before the ceremony and in the evening. 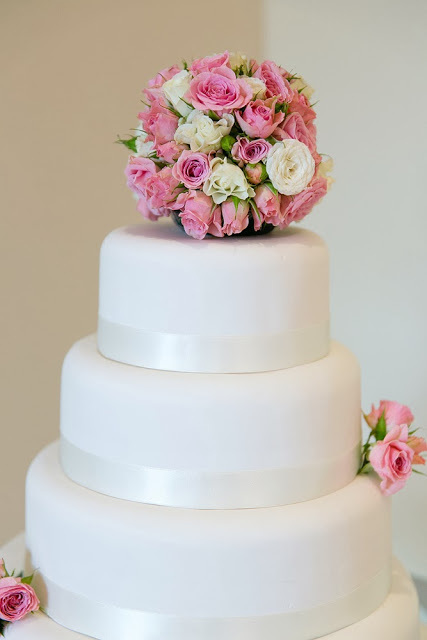 We lined the aisle with large flute vases topped with an arrangement of pale pink, ivory and soft green and placed two huge urns full of flowers at the top of the aisle. 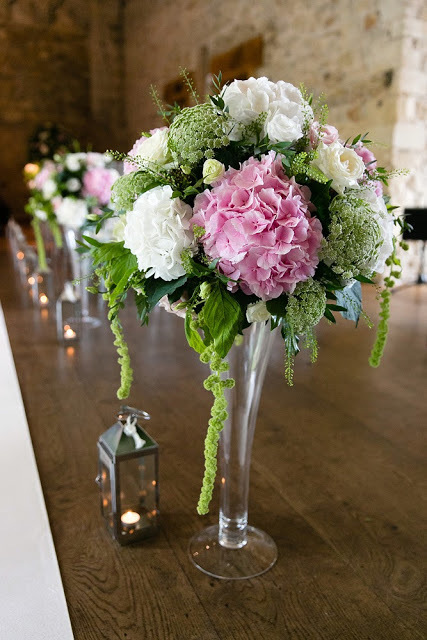 In between the flute vases were glass lanterns and at the top of the aisle, under the large urns were massed tea lights. 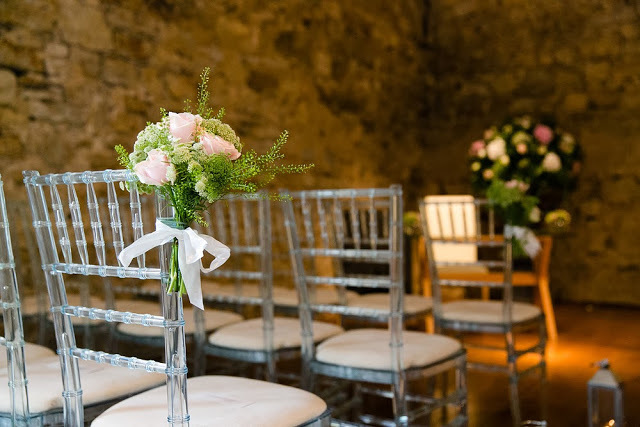 We tied bunches of sweet avalanche roses, thlaspi and trachelium to alternate rows of chairs along the aisle. Afterwards these were used as chair back decorations for the seats on the top table. 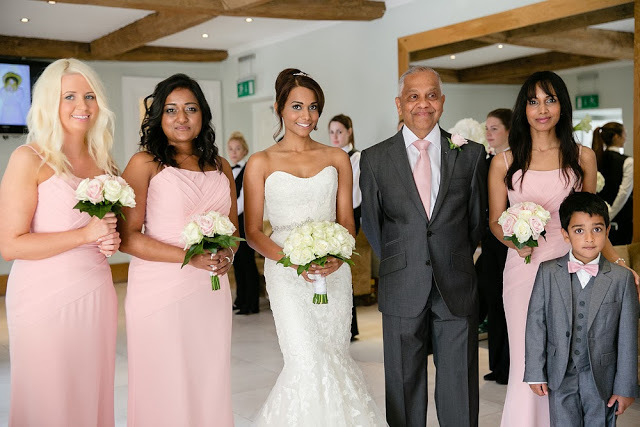 In the main hall of the Abbey we created a statement display all in white to greet guests as they arrived. 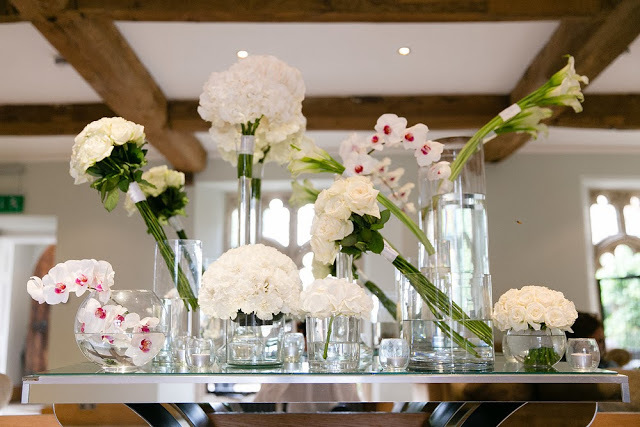 There were 9 mixed height and width clear glass vases containing massed bunches of either roses, hydrangea, call lilies, orchids or carnations. 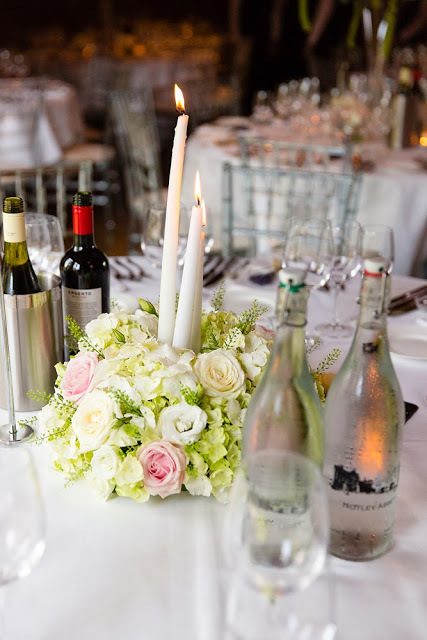 It made a stunning table arrangement. 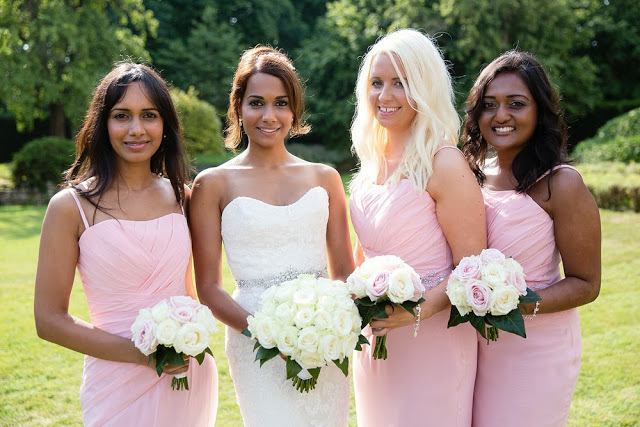 Samantha carried a very simple dome of avalanche roses with a collar of aralia leaves, while her bridesmaids carried domes of avalanche and pale pink sweet avalanche roses again with aralia leaves in a collar. 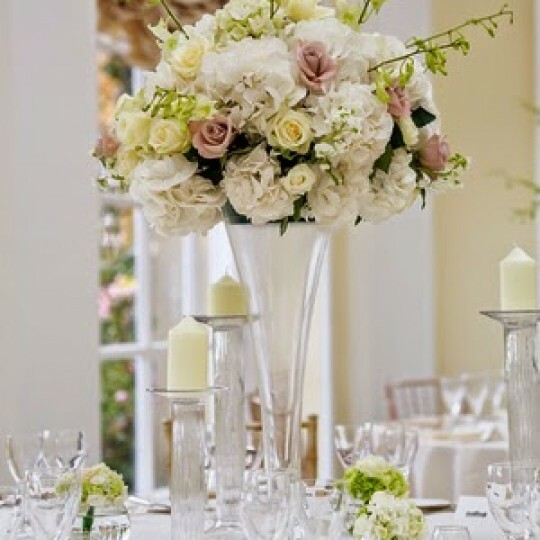 After the ceremony we moved the tall flute vases to the guest tables at the base of the tall vases we placed mini goldfish bowls with roses and hydrangea in. 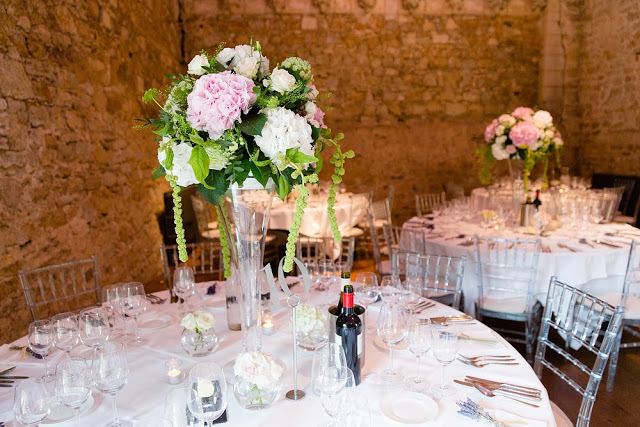 On the other half of the tables we placed low domes of roses, hydrangea and thlaspi with tall slim candles in the centre. 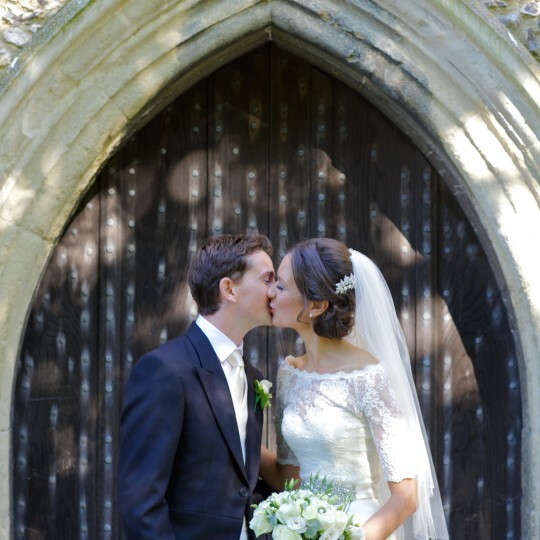 Matthew and Samantha in the grounds of the Abbey. 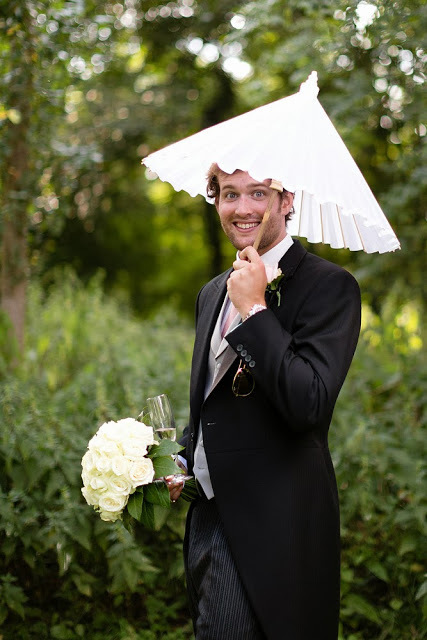 Best man’s duties, holding the bouquet and the brides parasol!! !